At Themepoints we are dedicated to providing you with the best options for both free and premium WordPress plugins and themes. In other words, we specialize in making your website look perfect while keeping solid stability. We do more than provide stock plugins and themes though. We provide our clients with custom tailored wordpress themes and plugins that fit their website and brand. Your message has never looked as good as it has with a theme from Themepoints. Most of our products are available on our website free for use on personal, non-commercial products. Use our products to run your personal blog, portfolio, or even a non-profit website and enjoy the power of having optimized themes and plugins to make yourself stand out. If you wish to use our products on a commercial website we offer individual site licenses. Our prices are at or below market value. Each license is binding to the purchaser and cannot be resold. Themepoints is a team of WordPress experts who are dedicated to preparing the best WordPress services. We have years of expertise providing highly fined tuned and custom products. We do more than make themes and plugins look good though, we make them perform well too. And of course, we know that you want your backend to be easy to use, so we ensure that it is simple to use the products on our website. Our themes and plugins are available for free for personal and non-commercial use because we wanted people who weren’t using their websites to directly earn money to not have to spend any money. Why should you have to pay for your hobby of blogging or pay to have a non-profit when it is helping other people? Why would you use Themepoints over a competitor? Because we do our best to make sure that our themes and plugins are optimized for you! Here is what makes our products different. Unoptomized themes and plugins can bog down your website’s load times and cause problems. Every product we have has been optimized for you and your business. Setting up one of our WordPress themes or plugins is as simple as downloading the file then, without even extracting it, upload it up to your WordPress build with the uploading option. Our WordPress plugins and themes either come with readmes or built in instructions to guide the setup process. All of the themes, and even the plugins, we offer at Themepoints are crafted to be the finest on the market and to make your website shine above others. You can fine tune the details to make it your own. Should something go wrong with your installation or should you have a question about our products you can contact us to inquire. We are industry experts and are able to answer any question you should pose. We make our website and ordering process simple because we know that you don’t want to spend hours trying to find the right product then hours trying to buy it. Simply view our easily laid out products and select the one(s) you want. WordPress Themes are design files that tell WordPress what to look like when a user visits your website. While WordPress comes with a number of free themes they don’t fit every website and they will make your blog or webpage look like others that are on the internet. Premium WordPress themes allow you to add spice to your website. 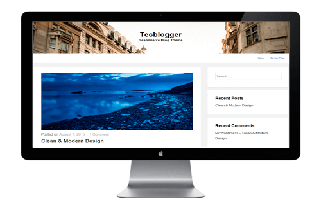 WordPress themes are very customizable. The interface allows you to change the features to meet your needs. Whether you want a dark or light background, whether you want ecommerce, or different types of posts. If you need to change anything that isn’t available in the basic editor WordPress also offers a CSS editor built in so you don’t have to open any special programs to change the code. WordPress Plugins are small selections of code that add functions to your website. These plugins allow you to add additional functionality. WordPress Jetpack adds a lot of features but there are still many things that you can’t do without additional plugins. You can add the ability to easily integrate Google Analytics, rate your SEO, and more.